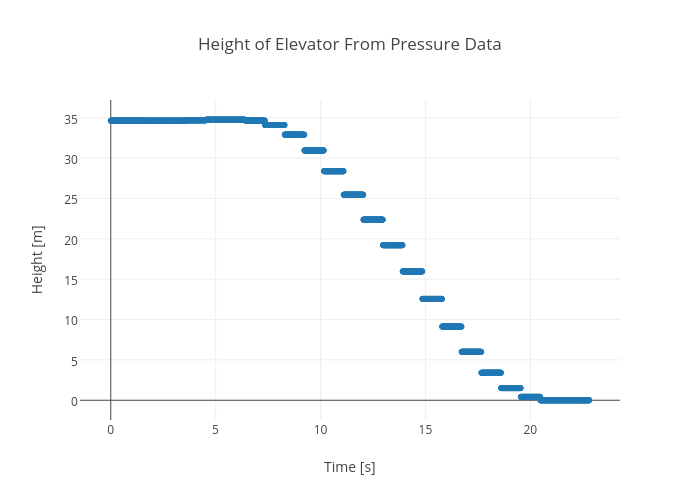 Rhettallain's interactive graph and data of "Height of Elevator From Pressure Data" is a scatter chart, showing height; with Time [s] in the x-axis and Height [m] in the y-axis.. The x-axis shows values from -1.45459940652819 to 24.25459940652819. The y-axis shows values from -2.6550283022556393 to 37.38802150225564.